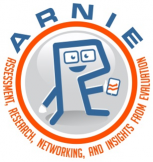 ARNIEdocs is pleased to announce two recognitions for publications by public school researchers and evaluators. There is no nomination process, deadline, or form to complete. As unnoticed as the Gem Mint 10 recipients were or famous as the Dog-Eared Report recipients were originally, they became known ostensibly to the judges. Click here to see the Gem Mint 10 and Dog-Eared Report honorees. The Gem Mint 10 is a recognition of an outstanding research, evaluation, or assessment publication that has been underutilized. This study or report deserves to be taken off the shelf, accessed in the digital archives, and circulated again—given a second chance to become dog-eared. A Professional Sports Authenticator (PSA) Gem Mint 10 baseball card is a virtually perfect card. Attributes include four perfectly sharp corners, sharp focus, and full original gloss. Although potentially rare and valuable to acknowledge the player highlighted, the Gem Mint 10 has been tucked away and never handled, appreciated, or really traded around, which was the original intent after all of baseball cards. 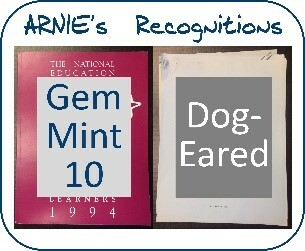 Available on www.ARNIEdocs.info for access if a renewed interest is generated from the Gem Mint 10. There is no nomination process, deadline, or form to complete. As unnoticed as the recipients were originally, they became known ostensibly to the judges. The Dog-Eared Report is a recognition of an outstanding research, evaluation, or assessment publication that has been impactful. The dog-eared report is the best of breed. Attributes include two severely worn corners, pages folded down, rusty marks from paper clips, and pen or pencil notes in the margins. For electronic/PDF versions, attributes include inserted comments, highlighted text/bold, likes, numerous times being forwarded to colleagues, and multiple citations in other contexts. • Available on www.ARNIEdocs.info for access and even more action if a renewed interest is generated from the Dog-Eared Report.